How to set video speed by idoo Video Editor? While editing video, we need to set video speed with video speed control. Sometimes we need video speed up to desirable speed, whereas sometimes we need to slow down video speed. However, average video player with control video speed system is unable to change the speed of the video. 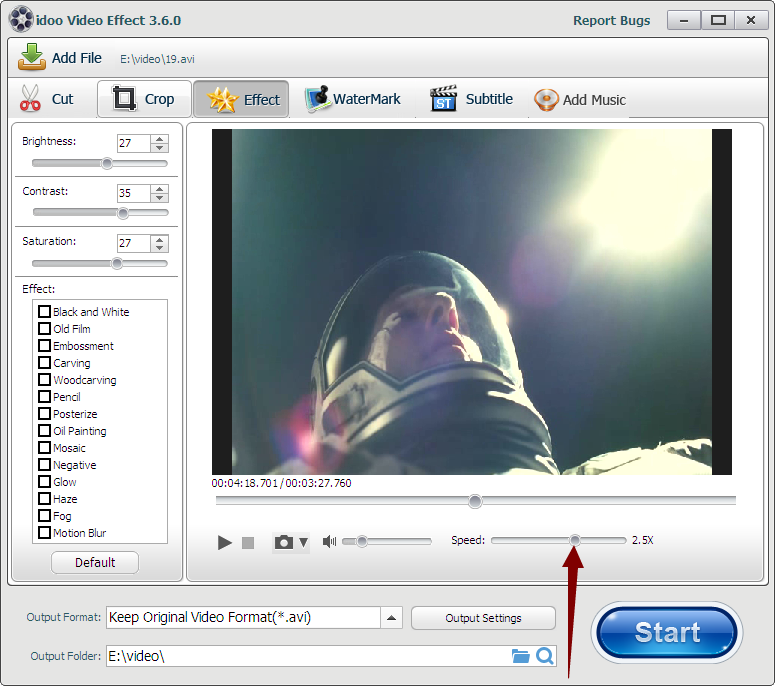 By using the Effect function in idoo Video Editor to set the speed of the video may ease up the work. You can set any speed in between 0.1X to the 4X interval, in other words, the lowest video output speed is the original 0.1X, and to the highest speed of 4X. While doing so, we can run advanced editing like add in effects, subtitles, music, etc. idoo Video Editor is best as in both video speed Editor and video speed controller, not only it can change the speed of videos, it also may convert to any video format with simple access. 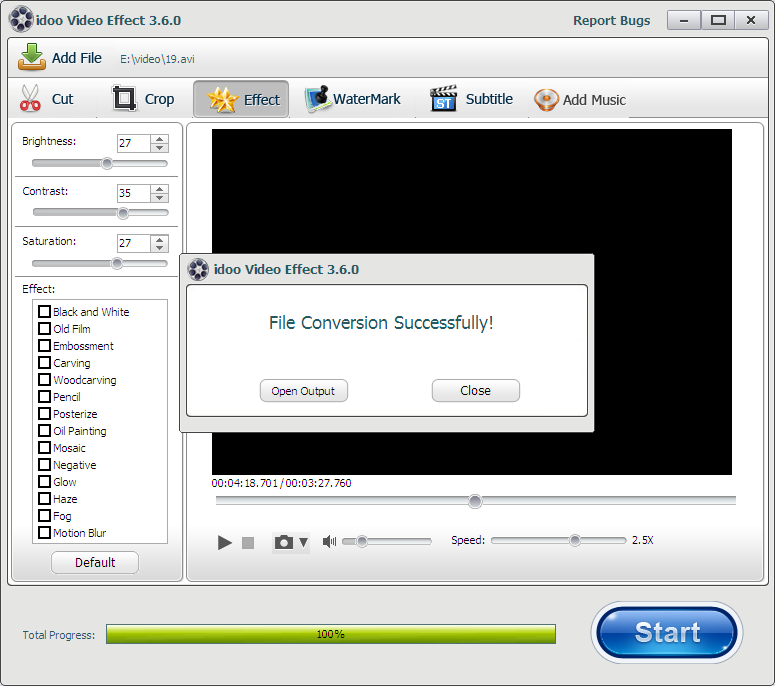 Now, let’s have a look how to set video speed by idoo Video Editor. 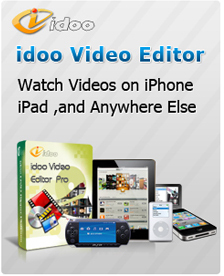 1Start idoo Video Editor and open Effect function to add the video. As shown below. 2 Click the speed control bar and select the speed you needed, You can also set other video effects on the control panel, as the picture below. 3Choose video format from Output Settings menu. Return to main interface. Click Start to edit and convert. As shown below.